Oxynal SP Tablet is used for pain relief. 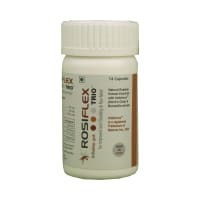 It relieves pain in conditions like headache, mild migraine, muscle pain, joint pain, dental pain, osteoarthritis, rheumatoid arthritis or period pain. Take this medicine in the dose and duration as advised by your doctor. Swallow it as a whole. Do not chew, crush or break it. Oxynal SP Tablet is to be taken with food. Oxynal SP Tablet is a combination of three medicines: Diclofenac, Paracetamol/Acetaminophen and Serratiopeptidase, which relieves pain. Diclofenac is a non-steroidal anti-inflammatory drug (NSAID) and Paracetamol/Acetaminophen is an antipyretic (fever reducer). They work by blocking the release of certain chemical messengers in the brain that cause pain and fever. Serratiopeptidase is an enzyme which works by breaking down abnormal proteins at the site of inflammation, and promotes healing. It is unsafe to consume alcohol with Oxynal SP Tablet. Taking Diclofenac+Paracetamol/Acetaminophen+Serratiopeptidase with alcohol can cause liver damage. Oxynal SP Tablet is unsafe to use during pregnancy. No information is available on the use of Oxynal SP Tablet during lactation. Please consult your doctor. Oxynal SP Tablet may cause headaches, blurred vision, dizziness or drowsiness in some patients. This may affect your ability to drive. Oxynal SP Tablet should be used with caution in patients with kidney disease. Dose adjustment of Oxynal SP Tablet may be needed. Please consult your doctor. Oxynal SP Tablet should be used with caution in patients with liver disease. Dose adjustment of Oxynal SP Tablet may be needed. Please consult your doctor. However, the use of Oxynal SP Tablet is not recommended in patients with severe liver disease and active liver disease. It may cause dizziness and sleepiness. Do not drive or do anything that requires mental focus until you know how Oxynal SP Tablet affects you. Avoid consuming alcohol when taking Oxynal SP Tablet as it may cause excessive drowsiness and increase the risk of liver damage. Do you have any questions related to Oxynal SP Tablet? Q. What are the storage condition for Oxynal SP? Q. What is Oxynal SP? Oxynal SP is a combination of three medicines: Diclofenac, Paracetamol, and Serratiopeptidase. 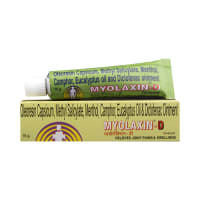 This medication helps in relieving pain and inflammation. It works by lowering the levels of chemical substances in the body that causes pain and inflammation. Q. Is it safe to use Oxynal SP? Yes, Oxynal SP is safe for most of the patients, however, in some patients it may cause common unwanted side effects like nausea, vomiting, stomach pain, heartburn and diarrhea. Inform your doctor as soon as possible if you experience any persistent problem due to the medication. Q. Can I stop taking Oxynal SP when my pain is relieved? Oxynal SP is usually used for a short term and can be discontinued when the pain is relieved. However, Oxynal SP should be continued if you are advised by your physician to do so. Q. Can the use of Oxynal SP cause nausea and vomiting? 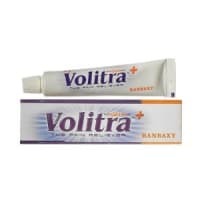 Yes, the use of Oxynal SP can cause nausea and vomiting.Taking it with milk, food or with antacids can prevent nausea. Avoid taking fatty or fried foods along with this medication. In case of vomiting, drink plenty of water or other fluids by taking small frequent sips. Talk to your doctor if vomiting persists and you notice signs of dehydration, like dark colored and strong-smelling urine and a low frequency of urination. Do not take any other medicine without speaking to your doctor. Q. Can the use of Oxynal SP cause dizziness? Yes, the use of $ame can cause dizziness (feeling faint, weak, unsteady or lightheaded) in some patients. If you feel dizzy or lightheaded, it is better to rest for sometime and resume once you feel better. Do not drive or use any machines. Q. Are there any specific contraindications associated with the use of Oxynal SP? The use of Oxynal SP is considered to be harmful for patients with known allergy to any of the components or excipients of this medicine or in patients with known allergy to other painkillers (NSAIDs). 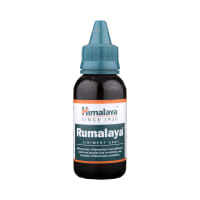 The use of this medicine should preferably be avoided in patients with a history of stomach ulcers or in patients with active, recurrent stomach ulcer/bleeding. It should also be avoided in patients with a history of heart failure, high blood pressure, and liver or kidney disease. Q. Can I take Oxynal SP with Vitamin B-complex? Oxynal SP can be taken with Vitamin B-complex preparations. While Oxynal SP helps to relieve pain, Vitamin B-complex can help to correct the vitamin deficiency that might be causing your symptoms. Q. Can I take Oxynal SP for stomach pain? No, Oxynal SP preferably should not be taken for stomach pain without consulting a physician. This drug can increase stomach acid secretion which may aggravate an unknown underlying condition. Q. Can the use of Oxynal SP cause damage to kidneys? No, taking higher than the recommended dose of Oxynal SP can lead to increased chances of side effects. If you are experiencing increased severity of pain or if the pain is not relieved by the recommended doses, please consult your doctor for re-evaluation. A licensed pharmacy from your nearest location will deliver Oxynal SP Tablet. Once the pharmacy accepts your order, the details of the pharmacy will be shared with you. Acceptance of your order is based on the validity of your prescription and the availability of this medicine.